Aloe Vera and Honey have benefits; these nature's gifts are really useful in curing a lot of ailments and skin problems. The Aloe Vera gel is used mainly for really serious ailments because it contains vitamins which act as anti-oxidants, it also contains folic acid, enzymes, sugar, minerals, amino acid, choline etc. While Honey which is referred to as the nectar of the gods should be a staple in every household because its health benefits. Honey contains anti-fungal and antibacterial properties and it helps to speed the repair and growth of body tissues by forming new blood vessels, epithelial cells and collagen. Aloe Vera juice is a natural laxative with a natural fiber that helps digestion process and improves bowel movements. Drink two ounces of this juice everyday if you are constipated, it takes up to 10 hours to kick in. Aloe Vera is a natural immune booster because it is full of anti-oxidants which combats unstable compounds in the body. Drink this juice regularly to enhance and boost the immune system. Sore gums can be uncomfortable and Aloe Vera due to its natural anti-bacterial and antimicrobial properties help to combat and cure gum disease. Massage your gum with fresh Aloe Vera gel or sprinkle some Aloe Vera gel on your tooth brush which would help your gums feel better. Food substances can cause fatigue and exhaustion but Aloe Vera juice also helps to cleanse the digestive system, regulate weight and increase energy levels. Consume Aloe Vera juice regularly to maintain a healthy weight. The concoction of honey, citrus fruits, spices and herbs helps to calm sore throats, they get rid of any bacteria that causes throat inflammation. Ginger helps to reduce inflammation therefore combining ginger with honey would help reduce stomach disturbance. Honey, milk and orange help to heel dry and cracked heel, the milk serves as a repairer and re-builder since it contains vitamin A and the orange serve as a natural chemical which removes dry skin. What do you think about this remedies? 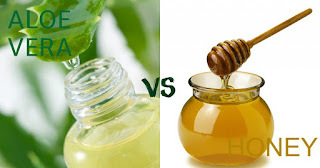 Do you know of other benefits of Aloe Vera and Honey? Please leave your comments in the comment box below. Thank you. 10 Rules For Wearing Suspenders. Number 1 is a Must! Suspenders (referred to as braces in Britain) is one of the very few classic men’s accessories used to judge a true gentleman. It was as though this stylish accessory went extinct for a while, but guess what? They are back! and this time around, they are here to stay. 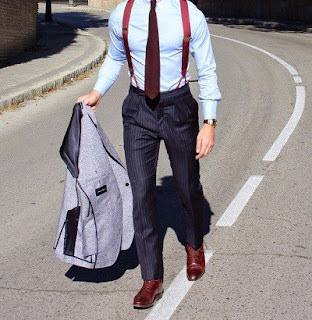 Suspenders are truly a timeless fashion accessory for men that offer both function and style. Today we are going to talk about the rules for wearing men’s suspenders. So gentlemen, here are the Top 10 Rules you should consider when wearing your suspenders. Here is that one formula you must always remember as far as wearing suspenders is concerned. 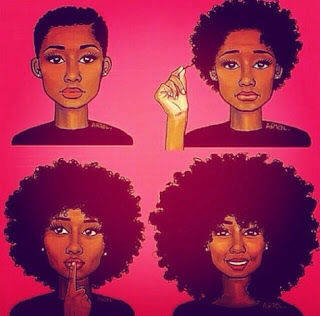 Very often, you see YouTubers making natural hair seem like one very easy ride and making you want to grow natural hair, but what they never tell you is that this natural hair journey is not for the faint at heart. Believe me, it isn’t beans. I know because I have been wearing my hair natural since January 2014. That’s two years of hardwork, shea butter, spray bottles, coconut oil, argan oil, olive oil, black jamaican castor oil, peppermint oil, hemp oil, "vegetable oil, palm oil, and who knows, engine oil?" I have to admit that there have been good days too, when I got so many compliments, to which I just smile and said to myself, “If only they know how much work goes into this”. Such days are like finding an empty filling station in Lagos right now that’s selling fuel at N86.5, rare! You probably still don’t believe me, especially considering the rate at which Nollywood actresses are wearing their natural hair these days! Facts About The Akwete ( Igbo ) Fabric. Akwete is vintage indigenous fabric from Nigeria. It was a sacred cloth passed down from generation to generation that had unfortunately been overlooked by most people because of it's locality (I wonder why though. Don't the Yoruba people from Abeokuta still cherish the "Adire" fabric? #deepthought). Before the introduction of coinage currency in Igboland, cloth was used as trade, good and currency item. It is worn for body beautification and decoration, and for ceremonies. Cloth is also a material of great economic, cultural, political and social importance. 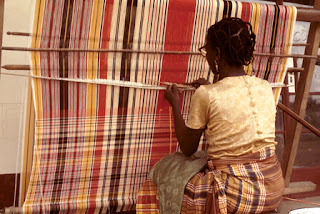 Cloth weaving is an ancient craft of the Igbo people dating to the early new stone age when Igbos learnt to make a rough kind of clothing from the fibers of flax plants. However, these days, raffia and cotton are most-widely used for cloth-weaving in Igboland. AMAZING SECRETS OF MY HAIR GROWTH. November Challenge - Rock Abs!!! October Challenge - Squats! Squats!! Squats!!! weight loss - how did i achieve it?